An extremely sensitive float made especially for "elusive" walleye. 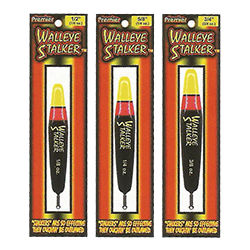 Available in 3 sizes, specifically designed for use with 1/8, 1/4, and 3/8 oz. baits and/or jigs. Available as underwater style slip float.